Q Connect White polypropylene Index. Manufactured from hard wearing polypropylene complete with contents page, ideal for frequently referenced material in the office or factory environments. 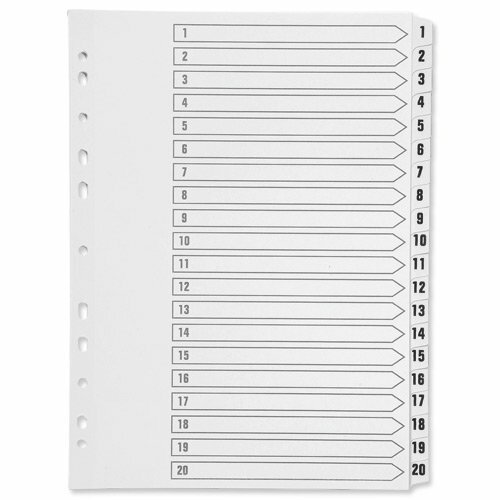 Multipunched for use in most binders. 1-20.